Lilac Bloom 95% cotton/5% spandex jersey split neck knit shirt with ¾ sleeves. 6.7 oz. 58% cotton/37% polyester/5% spandex knit jacket with moisture-wicking. 6.7 oz. 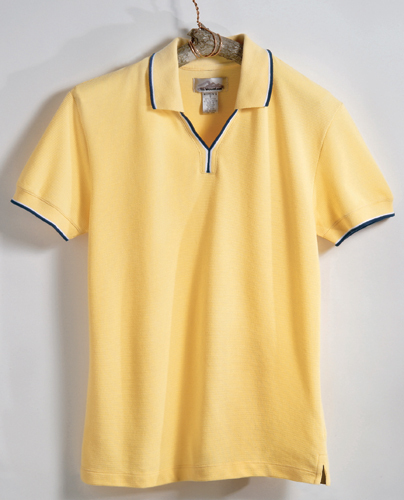 58% cotton/37% polyester/5% spandex long sleeve open henley with moisture-wicking. Women’s 5.1 oz. 95% polyester/5% spandex short sleeve scoop neck blouse. 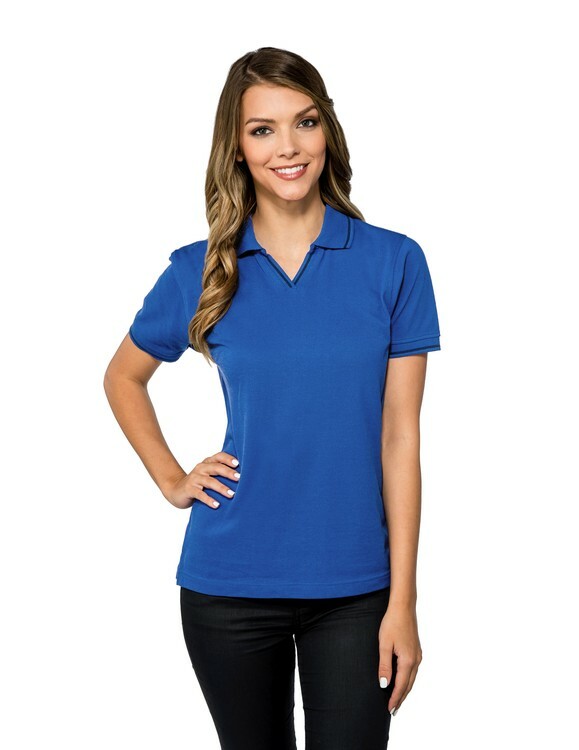 Women's 60/40 UltraCool™ mesh johnny collar golf shirt. 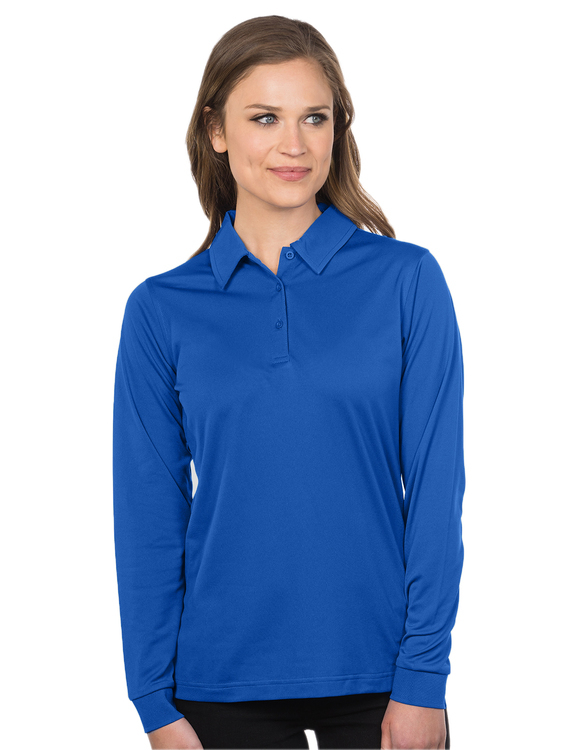 Women's 60/40 pique long sleeve golf shirt. 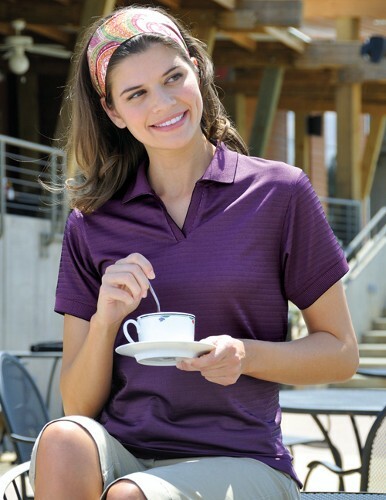 Women's 60/40 stain resistant pique golf shirt. Women’s 5.1 oz. 95% polyester/5% spandex woven long sleeve tunic. 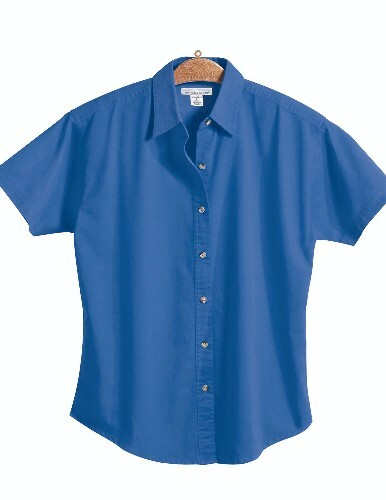 Women's 60/40 pique golf shirt. 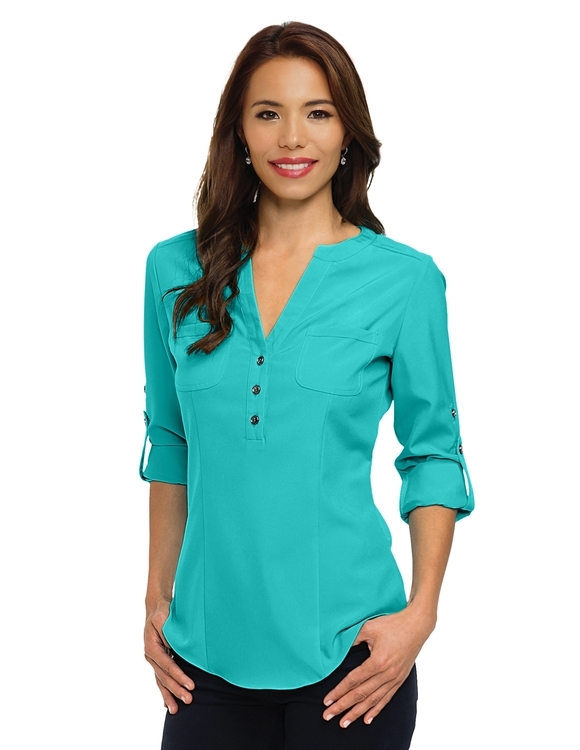 Women's 60/40 easy care short sleeve twill shirt. 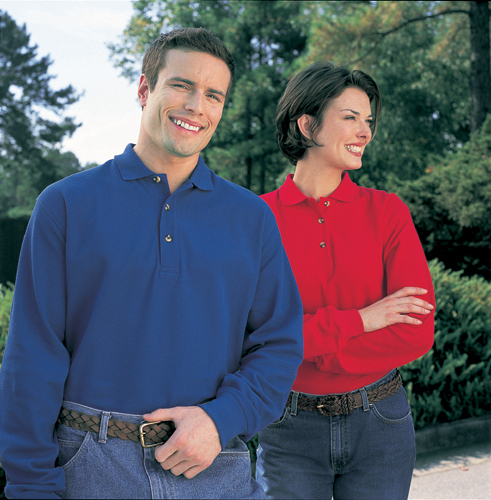 Women's poly UltraCool™ waffle knit golf shirt. Women's cotton interlock 3/4 sleeve v-neck knit.